Oh great, someone got stabbed. But wait…where’s the bloody palm prints on the wall? Where’s the blood trail? Where’s the body? Where’s the yellow crime scene tape? Where’s all the stuff you see on TV? What the heck happened here? Looks like someone spilled some. It doesn’t look like they broke a bottle because there’s no glass, and why would someone clean up the glass and leave the tomato sauce? 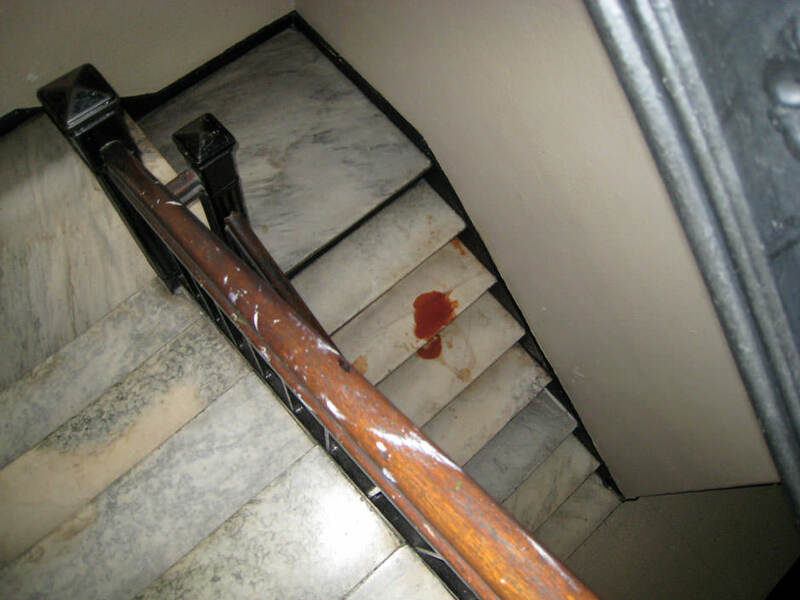 So maybe it was just a spill, but if that’s the case, why would anyone have open tomato sauce on the staircase anyway? 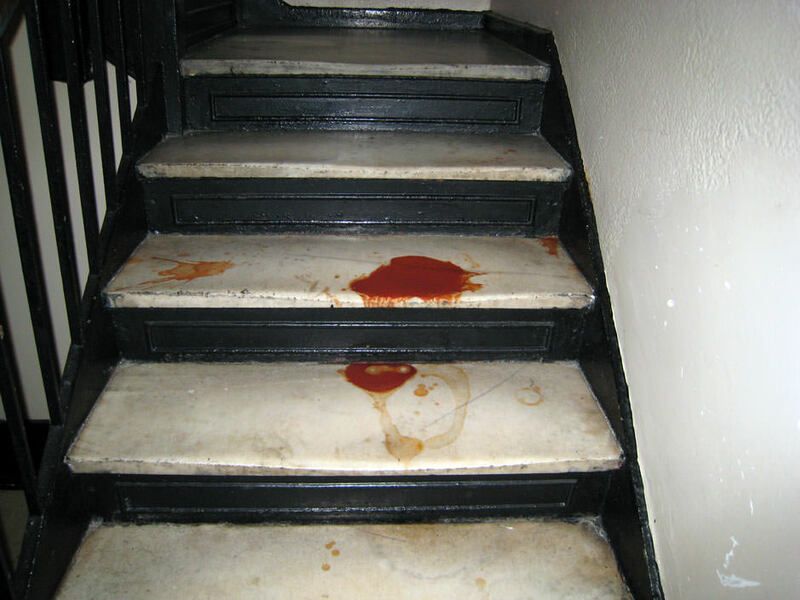 Why the eff didn’t they clean it up?! So many questions; so few answers.